Akin to astronauts on a centrifuge, this ride swings 4 people around as 4 people pedal pedal below. Great training for our bicycle space program! It has a 40 foot diameter and is 12 feet tall. 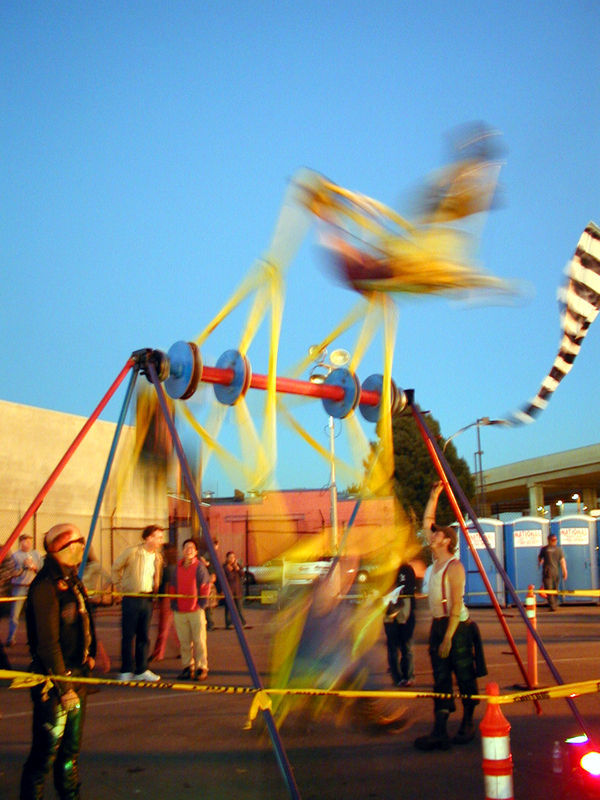 A 4 bike carousel is for little ones that teaches pedaling and teamwork. Developed by Paul the Plumber. 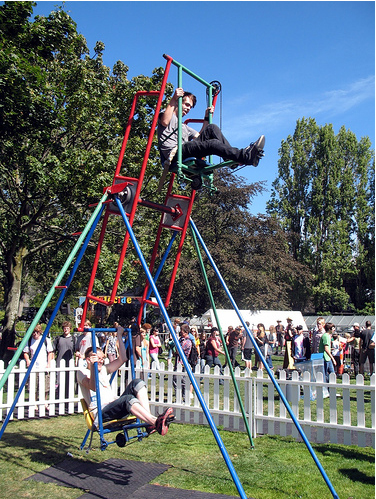 This three person pedal powered ride is a further extention of the two seater. 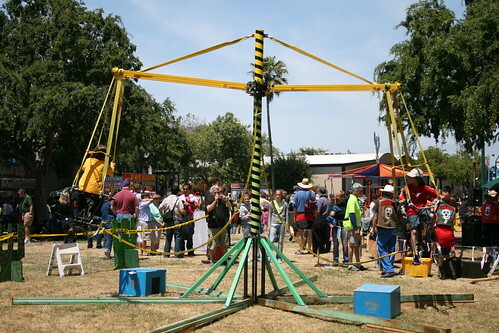 This is the stationary set up of the moving Star Wheel. Click images for larger versions.